Brand new to the forum. 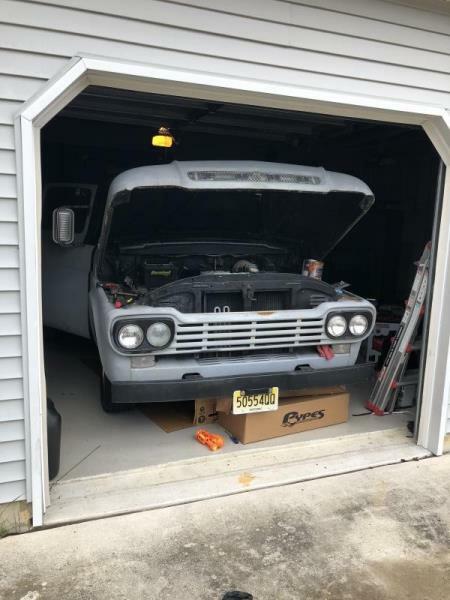 Been looking at 351s in junkyards to drop in the truck (59f100). Looking for 400-500 horses for a street application.figured stroker on a 351w would do the trick. Guy at a junkyard told me to keep the y block and go twin turbo. I don’t know much about twins other than I love my Ford Taurus Sho. Throws out 435 horses and gets great mpg. Should I consider going this route? How much more costly are we talkin, bc it would be cool to keep the Y block. Guess it all depend on how much more it’s going to cost... I did see the adapter plates for an AOD..... I’m $1000 in just at the adapter lol. Plus whatever else it will run to make the aod work. Im going to beef it up to handle the added horsepower during the rebuild. That cost was factored in for the 351 as well. I have a factory automatic, so I’ll keep it that way, at least for now. I’ve built my wife’s 68 into a solid runner. If I still love the truck in a few years I’ll tjrow the aod in her car and grab a t56 or something. For what you want, modifications to the transmission and driveline and probably even suspension and brakes are required, no matter the engine so that is a wash. Going turbo jacks up the cost quite a bit but it will also allow you to achieve the power you desire while retaining a very streetable engine. Twins are more for show for only 400-500hp and an unnecessary cost. Boost is not at all required to get 400-500hp out of a Y but you will loose some streetability (or truckability) to do it without. Naturally aspirated, once you get to about 1hp/ci, forget using it for truck things. That applies to any engine and is something to consider. It should do light duty things ok but don't plan on hauling or towing heavy loads. For cost, get out a pencil and paper and configure a Y and a 351 and see which comes out better. 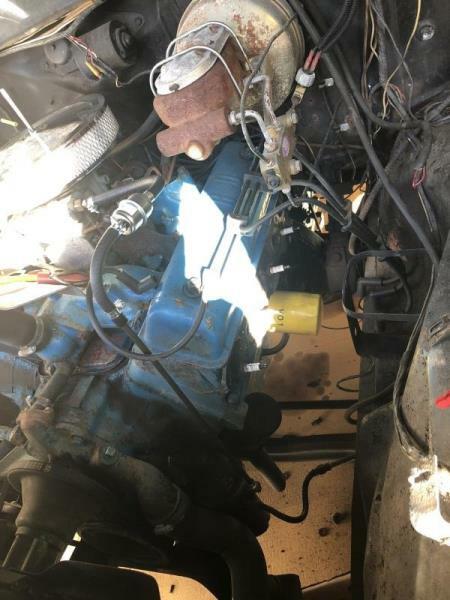 For lower powered builds and considering only the cost to build the engine, the 351 absolutely will come out cheaper but as power increases and more specialized parts are required, costs start to move closer and you also have to remember the cost to actually install the 351 into the truck.. Your best source for parts will be www.ford-y-block.com. ...Y-Block's stock bottom end do not hold that much power like 351W do. Pistons and rods are the weakest link. Mr. Ford, are you running your setup with a forged crankshaft? 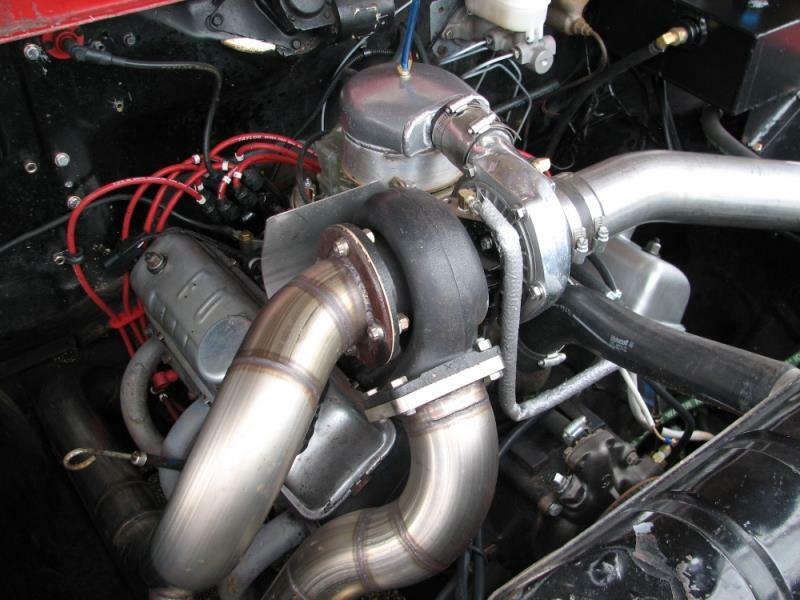 Here’s a picture of a single turbo setup on a Y with a cast crankshaft in a Ford pickup. This particular truck has seen a lot of miles. That thing needs an inter cooler! That not my setup, but cast crank should hold horses quite long with turbos if balanced properly especially with automatic. Btw. Stock Y-Block's can handle 0,7 bar boost fine...for a while. Thats about 300+ hp. 1,5 bar is too much. Pistons and rods break first.